In 1982, December the 18th to be precise, I went to my first ever rock concert: Joan Jett and the Blackhearts at Festival Hall in Brisbane. I worshipped Joan Jett; she was unconventional and tough and impossibly cool. Joan Jett made my teen years bearable, when my lack of conformity constantly drew out the worst in people. Like Joan, I didn’t give a damn about my bad reputation, and had the middle finger up to the world. Yesterday, the 15th November to be precise, or almost 33 years later, I heard that song blasted in a huge arena for the second time. This time, though, it was to accompany Ronda Rousey’s walk to the Octagon where she was due to fight Holly Holm in the UFC bantamweight championship. 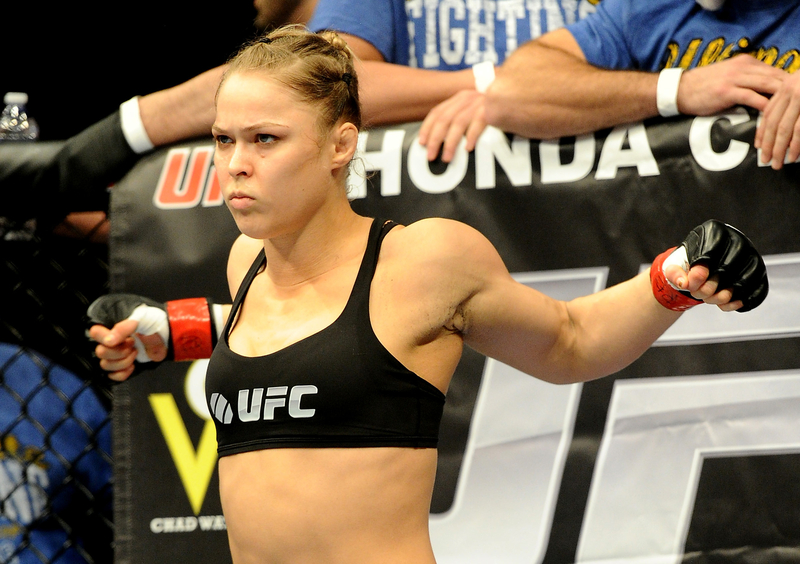 If you’ve had your head under a rock, Rousey is a marvel. An astonishing athlete who’s also articulate, likeable (or hateable if you’re that way inclined), and an outspoken feminist. She is, like Jett, unconventional and tough and impossibly cool. While I wouldn’t say I worship her (I’m a little old for that), I took an avid interest in her; avid enough to book a trip to Melbourne and drop a ton of dosh on great seats to see her fight. It’s a matter of record now that Rousey lost the fight. Her opponent, sure-footed and precise world boxing and world kick-boxing champion Holly Holm dominated her from the outset. I quite like Holm (in fact, if you read my books, she’s the spitting image of Bluebell). But to say that Rousey has been knocked off her perch is to misread the situation. Rousey isn’t famous simply because she rose to the top very quickly, looking invincible, in a sport that is so brutal and bloody that I covered my eyes a lot of the time. Her perch is bigger than the UFC. She is at the top of the world as a woman who gives us a new narrative, just as Joan Jett did in the 1980s. I feel so incredibly lucky to have seen both these stars when they were shining their brightest. Today, give the middle finger to the world in their honour. Ha!!! Great post! Your last line made me snort with laughter. In fact, I do read your books and the parallel to Bluebell gives me chills! When will we be seeing book #2 on the shelves? I want to reread Daughters of the Storm a week before the next release! Kim, I reckon I’ll be finished by the weekend! Due for release second half of 2016. Wow! Synchronicity. I’m so excited by this series. The sisters are so wonderfully diverse, and real!